We've recently been diving into the world of social media and expanded our mar­keting and web presence to Facebook. 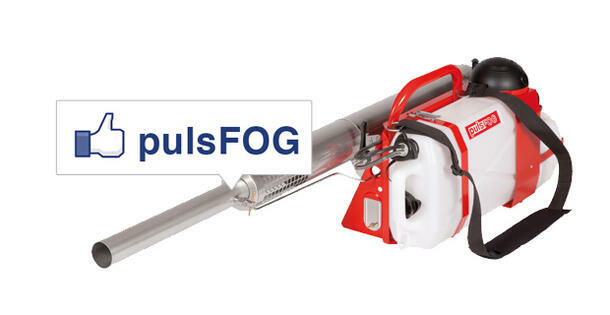 In the coming year, we will be adding tools that allow you to connect even more closely with pulsFOG. We'll use this communication tool to alert you to new things on the site, remind you of things you might have forgotten about, and post other pulsFOG news that could be of professional interest to you. Show your support and become a "Fan" of the pulsFOG today!­ ­Visit our Facebook­ Page and select the text "Become a Fan" from the top right. Whenever you see a post about pulsFOG in your Facebook News Feed, please use the "Like" button if you enjoyed the post, or "Comment" on it to allow more people to see the update and generate conversation. Also, make sure to use the "Share" feature to ask others to join the pulsFOG fan page. Feel free to jump in with your own perspectives too. Click here to take a look at our Facebookpage. If you don't use Facebook, you won't miss anything, our news section on the pulsFOG homepage will always keep you up to date with what's new on the site. The page will do a similar job as our homepage. We know you like to access information in a variety of ways, so Facebook is just another option.